Sings to the radio. Loudly. Particularly fussy with her hairstyles. Has a heart so happy and full. 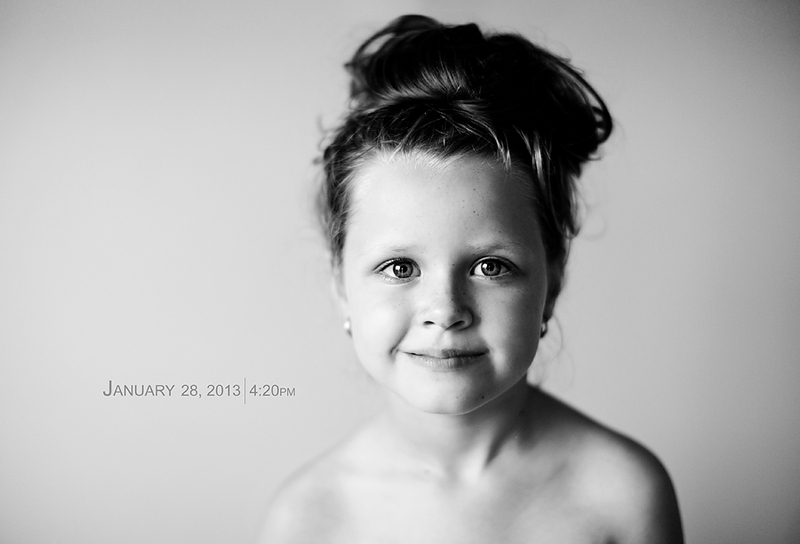 You can see last year’s portrait HERE and the year before that HERE. I like to think of myself as an adventurous, ‘fun’ parent. You know, the ones that do outrageous things like take their kids on a walk in the pouring, torrential rain, with 50 kilometer wind gusts. 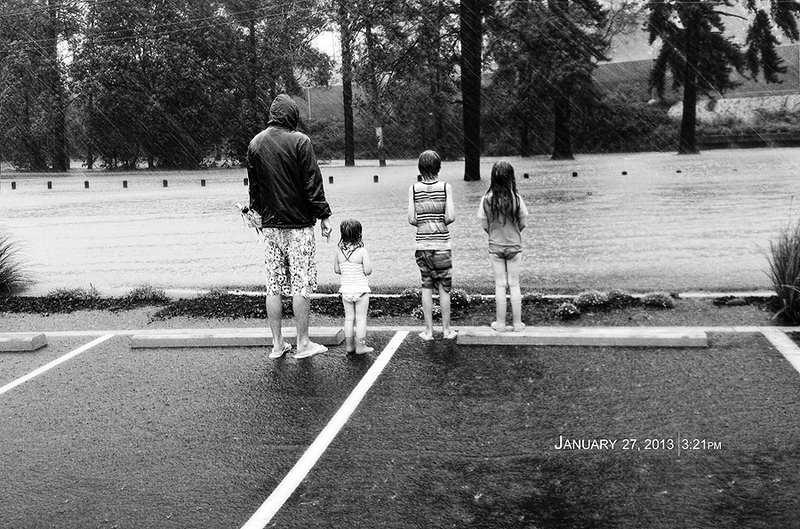 The ones that dance in the rain and get absolutely drenched right along side their children. 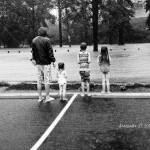 The ones that bow to their children’s request to, “Please can we go and see the flooded road…please? Please?” in weather where it’s absolutely impossible to keep an umbrella in one piece, let alone stay dry. Yep, well, that was me. See, I’m a totally cool, adventurous, fun parent. Well, at least in my kids’ eyes and probably only until tomorrow. Still. I was one. Australia Day accompanied by torrential rain is not something I’m used to. That said, it did not dampen the spirit of our celebrations. BBQs with friends can happen in the rain, hail or shine. And so we celebrated. I celebrated with a wine or two. 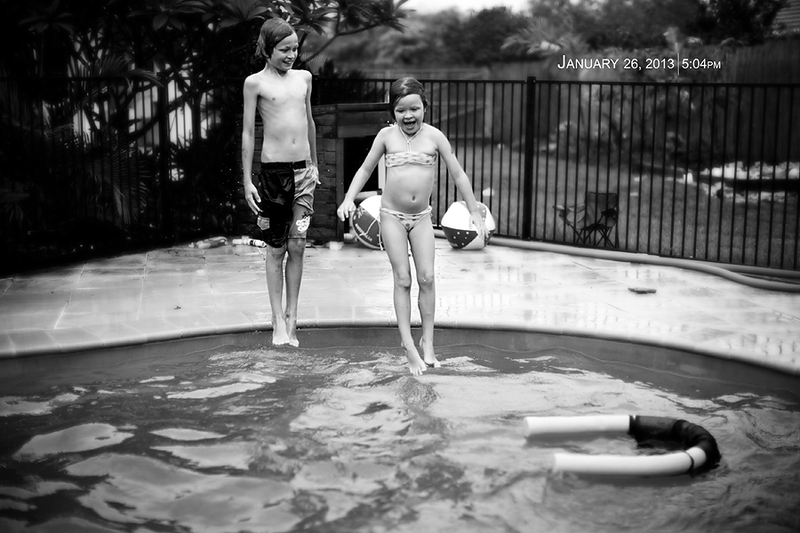 The kids celebrated with a swim or three. I think that’s where they spent a good deal of their afternoon. The pouring rain certainly did not seem to bother their celebratory will. Nor did it dampen mine.